An opportunity for attendees to sample FREE walking sport taster sessions of a range of activities including basketball, cricket and football. A screening event will be taking place at Crown Hills School to give staff members the chance to find out whether they are at risk of developing type 2 diabetes. The team will be attending a family day at the Madani School, carrying out diabetes screenings and spreading the word of preventing type 2 diabetes. To mark World Diabetes Day the team will be returning to Leicester’s branch of Hastings Direct to see if those who took the Risk Score and were deemed at risk went to the see their GP or made the relevant lifestyle changes. More diabetes screenings will also take place and staff will get a chance to ask questions about their health and how they can take small steps to improve it. 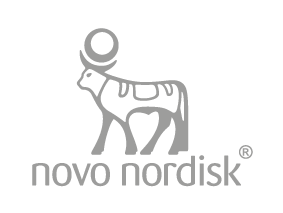 A member of Team Novo Nordisk will be attending a cycling event at St Matthews Sports Centre & Library. Set up by the City Council attendees will get access to rickshaws, electric bikes and push bikes. The aim of the event is encourage people to have a go on a bike and skill share so they may be inspired to take up the hobby in the future. 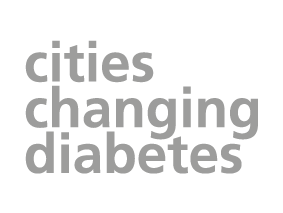 The CCD team will be at the Haymarket branch of Barclays speaking to customers and staff about diabetes, what is happening in the city and providing those interested with a chance to go through their diabetes risk. The Dawoodi Bohra Community in Leicester is holding a faith event to raise awareness of type 2 diabetes. Leicester Fighting Diabetes, in partnership with the Leicester Diabetes Centre, is being held on Tuesday, May 8 from 6pm at the George Davies Centre at the University of Leicester. Find out whether you are at risk of type 2 diabetes at this weekend’s Leicester City football match. We would like to invite you to the inaugural stakeholder event for the Leicester Cities Changing Diabetes (CCD) project. This event is organised to engage with the various stakeholders in the city to map out and identify the priorities for the CCD project in Leicester. This is the first of a series of stakeholder events we hope to organise and we will keep you informed of events to follow.